Remark: This is the provincial house of the CMI St. Paul province, Bhopal. Remark: This is an Art centre of of the CMI Congregation. Remark: It is a training & research centre for the northern and central Indian missions. Remark: This is the Mission Theologate of the Congregation in North India. It has two other centres in jagdalpur and in Rishikesh. Samanvaya-Bhopal is the coordinating centre. Objective: To Draw out the best from each student by providing an enabling and caring environment. 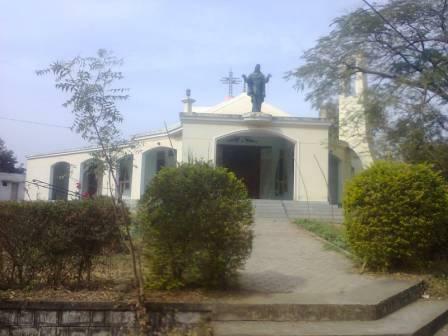 Remark: Yesu Ashram is the first Catholic Ashram at Bhopal, with an Indian Approach. Objective: It aims at filling the vacuum of of a Spiritual renewal centre for Priests and religious, and for the pearls of all walls of life in all religions, in and around Bhopal and beyond territorial limitations.